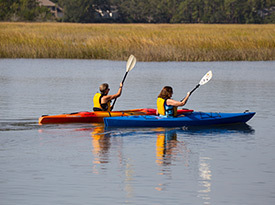 Richmond Hill is rich in outdoor activities: fishing, boating, kayaking, paddleboarding, hiking, birding, golfing, horseback riding, and more. 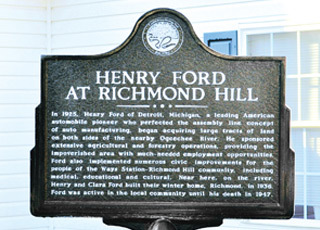 Richmond Hill’s deep history can still be seen and touched at the Richmond Hill History Museum, which was once the kindergarten that Henry Ford built for the city’s children, and various stops along the Coastal Bryan Heritage Trail. An amazing collection of locally owned restaurants in Richmond Hill that are not chains dish up great food, from locally caught shell fish and seafood served with waterfront views to Southern heritage cuisine and even authentic Scottish and Irish pub food. 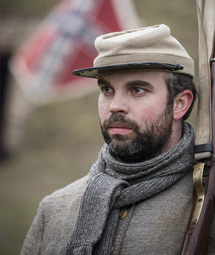 Fort McAllister State Park marks the end of Sherman’s March to the Sea, giving visitors a glimpse into Civil War history. and the best-preserved earthworks of the Confederacy. 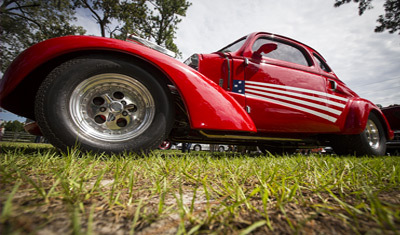 The first Saturday of the month, March through October, car enthusiasts bring their unique, special, rare, or antique cars to the Richmond Hill History Museum, formerly the Henry Ford Kindergarten building, for Cars & Coffee, a morning of conversation, coffee and fun. The public is welcome! 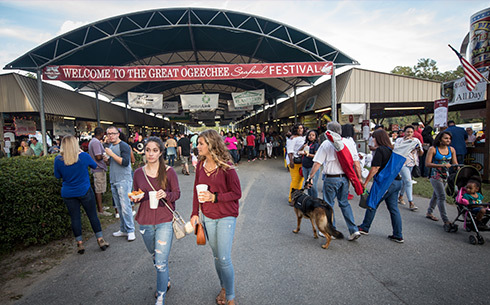 The third weekend of October, Richmond Hill celebrates its Southern hospitality and some of the best seafood you’ll find anywhere with the Great Ogeechee Seafood Festival, a three-day event that attracts 35,000 people from across the country. 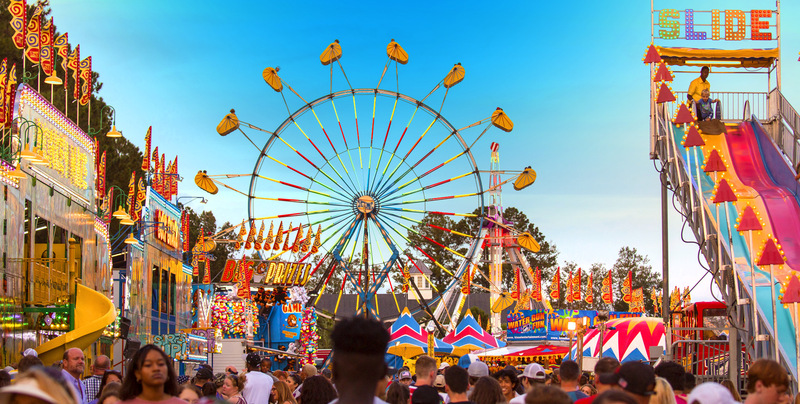 The spotlight is on seafood cooked a variety of ways, as well as arts and crafts, a carnival, and live entertainment that in the past has included Blues Traveler, the Dave Matthews Band, Collective Soul, .38 Special, and other top acts. 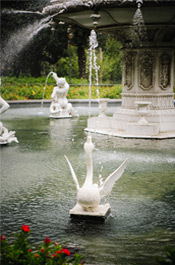 Richmond Hill is part of the Colonial Coast Birding Trail. Bring your binoculars to Fort McAllister State Park or J.F. Gregory Park to view a variety of songbirds, migratory waterfowl, and raptors, including bald eagles and ospreys. 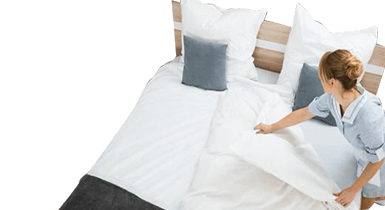 Fourteen comfortable hotels, cabins and campsites mean that no matter how you like to sleep, we can accommodate you in Richmond Hill. 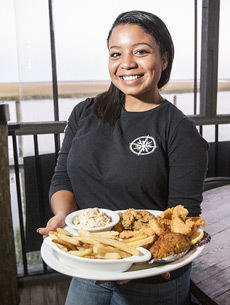 Richmond Hill is right next to Savannah, so you can set up a budget-friendly base here and make forays into Georgia’s oldest city (and throughout coastal Georgia) to explore the emerald tree canopy, quaint cobblestone streets and majestic architecture in this romantic destination. Catch a ride on the trolley that picks up in Richmond Hill daily for the trip into Savannah. 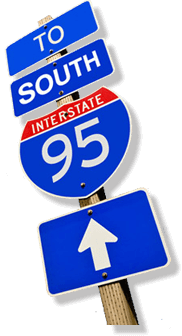 Located conveniently on I-95, it is easy to get to Richmond Hill, and all of coastal Georgia (and even a bit of South Carolina) is accessible from our city. Find us! Click here for an area map and directions. Where to start? Download our online Visitors Guide, or take a look at a few suggested itineraries based on interest.